Part documentary, part narrative WE ARE THANKFUL tells the story of lead actor Siyabonga Majola, playing a version of himself. He lives in a small town and wants to be an actor. When he finds a film is going to be made nearby he travels to the set where he meets director Joshua Magor is working. Very meta film is an interesting piece of docufiction. How you react to it is going to be determined by how you react to the observational portions of the film. I am not sure what I think of LOST HOLIDAY. 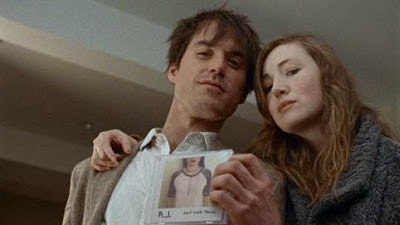 Listing as a mystery, the film is more the wanderings of a well off college couple who travel through Washington DC kind of get involved in a kidnapping and stuff. To be honest mostly what I remember is just --- being cranky and quietly pining for an old flame. I lost interest because I really didn’t like anyone so I didn’t have any reason to care or connect. I am kind of at a loss about what to say about TUNGRUS. This short doc is about a family that is being terrorized by their pet chicken. Normally it wouldn’t be a problem but they live in an apartment and have an insane bird wandering around is handful. The family is interviewed and they discuss the possibility of killing and eating the errant fowl. Running 13 minutes the film is one of those films that is better to see rather than read about. Recommended.